I spent the last nine days in London and had the pleasure of seeing many friends for the first time in years. We don't travel through London regularly, so it has been eight years since my husband and I were there together. 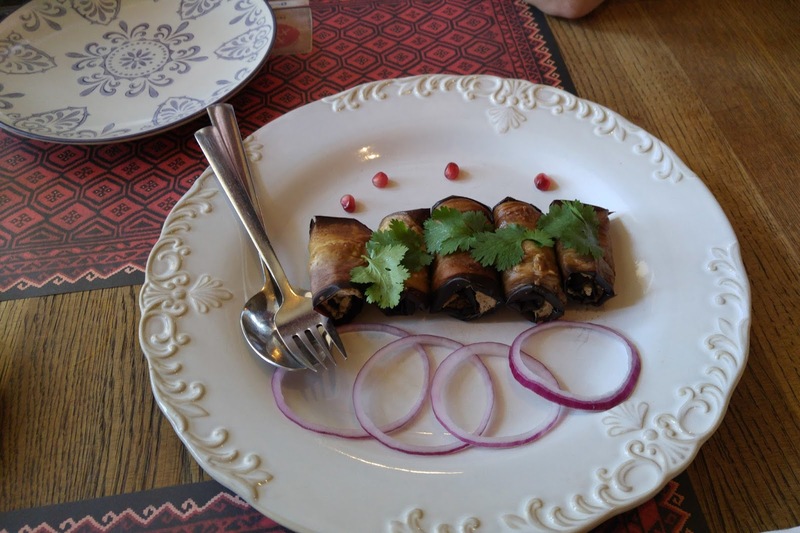 Most of my friends asked about this blog, since my food blogging was at its peak when we were living in London and I was cooking for them. My change in job has led me to blog very little these last few years, but I still enjoy cooking (and eating) healthy food. While in London I bought the new Yotam Otoolenghi cookbook, Simple. 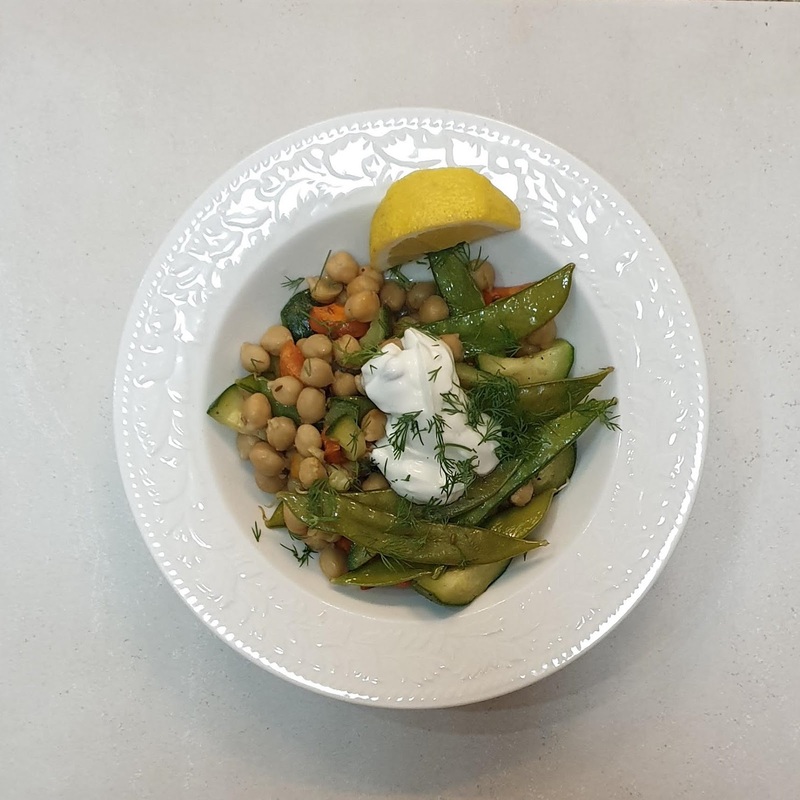 I have cooked several Ottolenghi recipes before -- they were delicious and inventive, though not simple. The recipes in this new cookbook contain fewer ingredients, are more quickly produced, and are easier to make ahead. 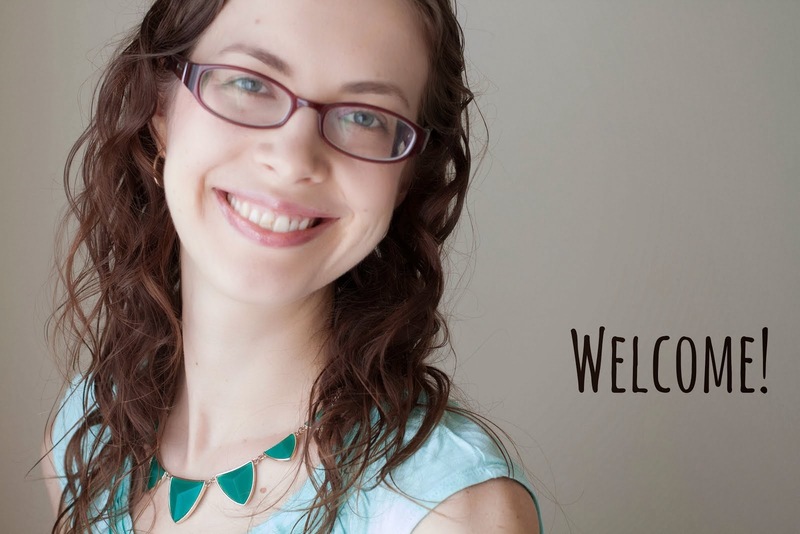 I am really excited about trying out many recipes! I arrived home and had to rustle up some food for myself (Anthony is staying on to work in London another few days). This meal was inspired by a recipe from the new book, but the welcome-home emptiness of the fridge meant that most of the ingredients were substitutes. I went to taste durian for the first time. There were four of us, including two local Singaporeans, my friend Kimberley, and me. The stall is open air, due to the smell of the fruit. The aroma all around the stall smells a bit like fruity socks. I have been told many times since moving to Asia that durian smells worse than it tastes. Kimberley and I got there early so we were able to sit and watch some other people buying and eating. It's usual for people to buy and eat durian at the stall instead of taking it home. 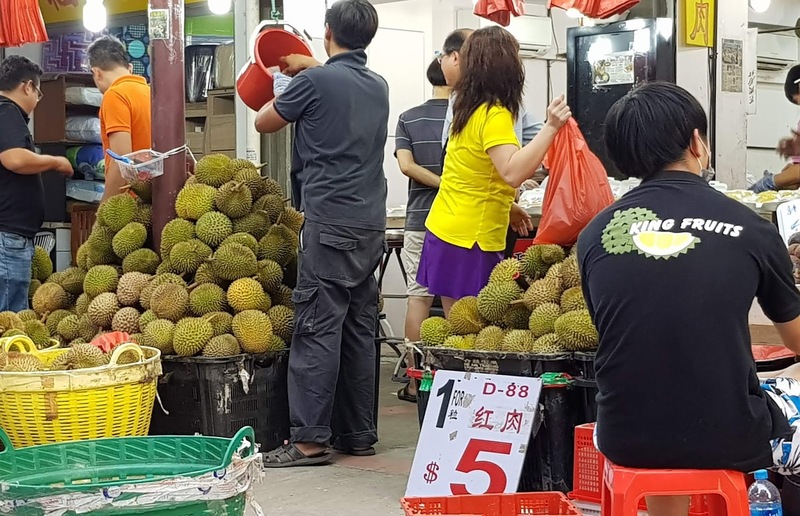 I asked my two friends about this and one said she has a strict rule to never allow durian into their flat. 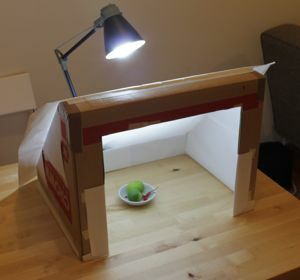 The other said only families in which all the members like durian will let it come into their home. It might be tricky to get it home if you don't live within walking distance, though, because the fruits are not allowed on the bus or train. 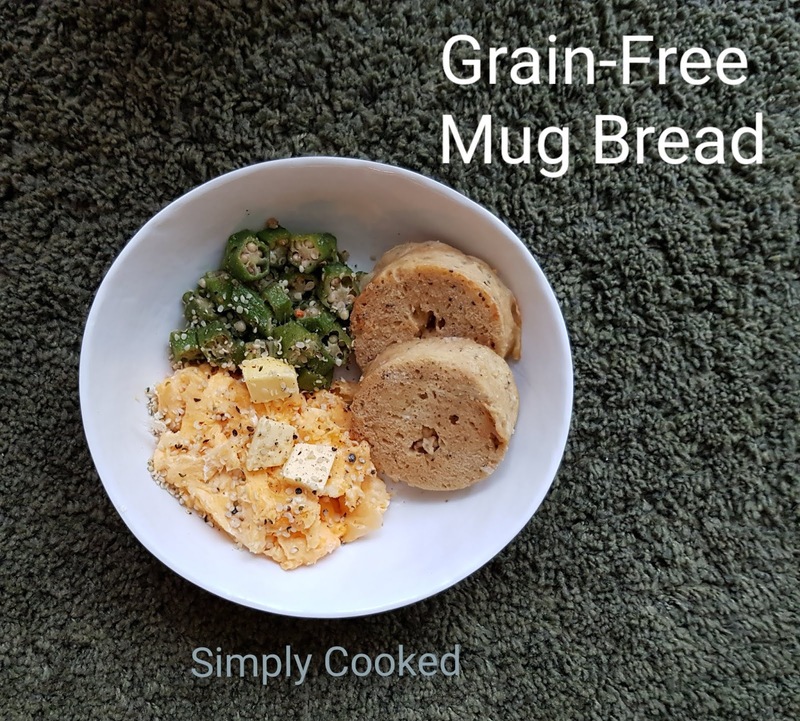 Since going grain-free and moderately low carb several years ago, I haven't eaten much bread. But sometimes I just really want to eat my eggs with toast. 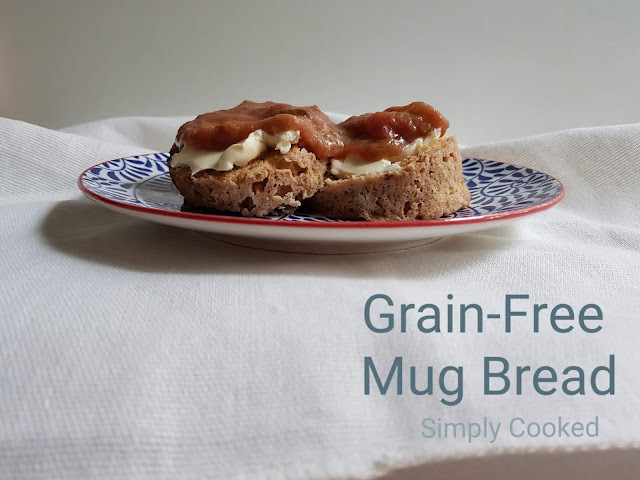 I found this grain-free mug bread works for me - and it's just a single serving, which works because my husband is not grain-free. When I make one mug bread, I slice in in half like an English muffin, as in this picture. I have made it for savoury and sweet uses. Eggnog is not common in Singapore, though, so I have to make my own. 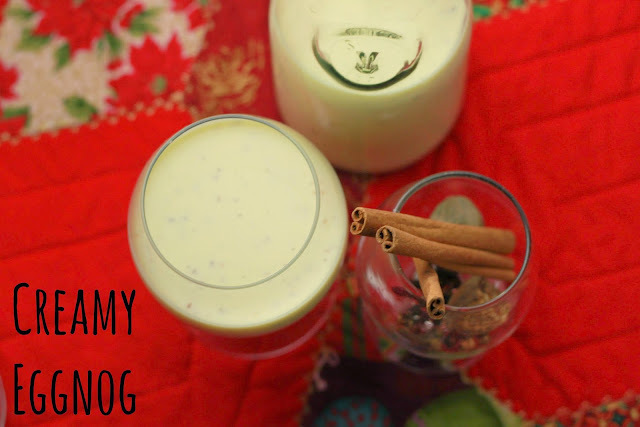 And so I chose this eggnog recipe, from Mark's Daily Apple. It has less sugar (and hence tastes less sweet) than any commercial version. This means I can drink more of it - and with abandon - yippee! December beverages are sorted and lots of eggnog lattes are coming my way. Please excuse the quick kitchen counter photo. But I wanted to share this brilliant dinner. It's a portobello mushroom topped with chipotle beef chilli and vintage cheddar cheese. After mananging to do some meal planning recently, I have been able to actually cook from a recipe instead of throwing together whatever I can find in the fridge each night. This dinner is from Weeknight Wonders by Ellie Krieger. It's nice to pick this cookbook up again after many months away from any serious cooking. I"m a people pleaser at heart. It's a feature, and a flaw. I guess in cooking, it's more of a positive! My husband certainly appreciates that I have honoured him by not becoming a vegetarian. In general, I find meat boring. I don't enjoy the taste, and that, together with the environmental impact and the cost, leads me to not prioritise it in my thinking. However, I keep making meals with meat as a way of pleasing my husband. And thankfully, over the years we've been married I've learned to cook meat in ways that both of us find interesting. 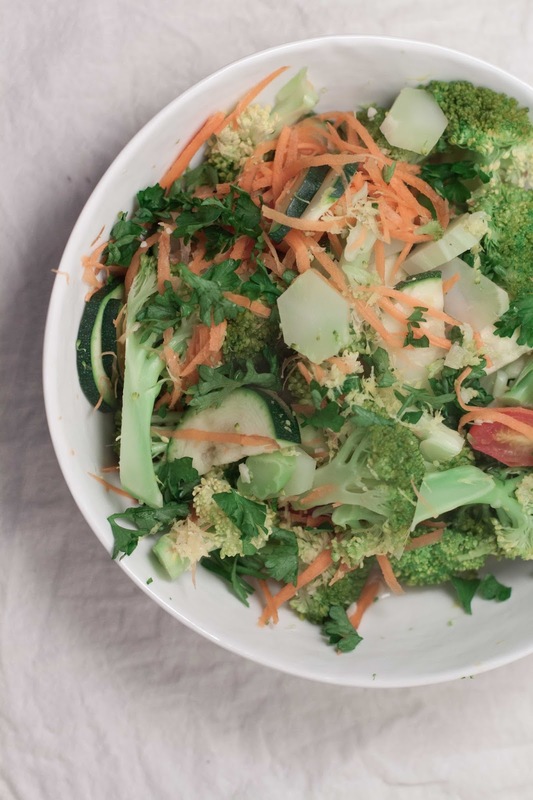 This salad makes us both very happy. Raw spinach is my favourite food and steak is his. The steak is crusted in a mixture of coffee grounds, chilli powder, smokey paprika, and cumin. 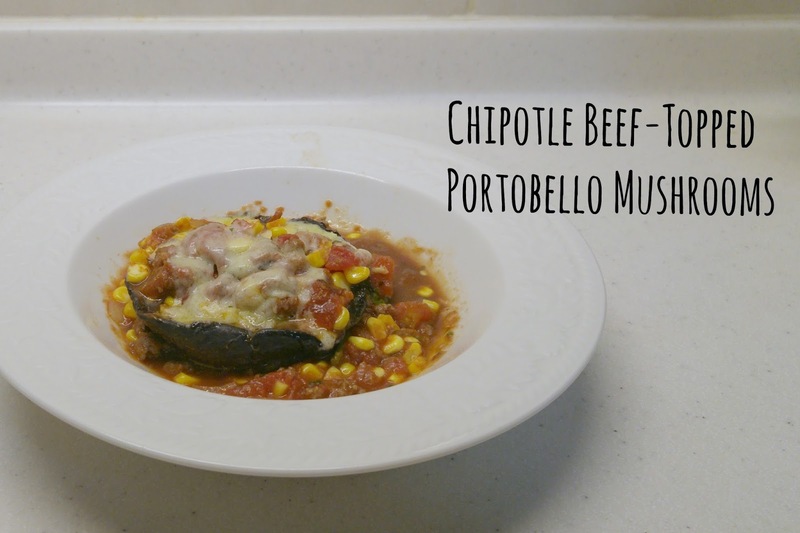 The cooking time is short and so this made a fast weeknight dinner. 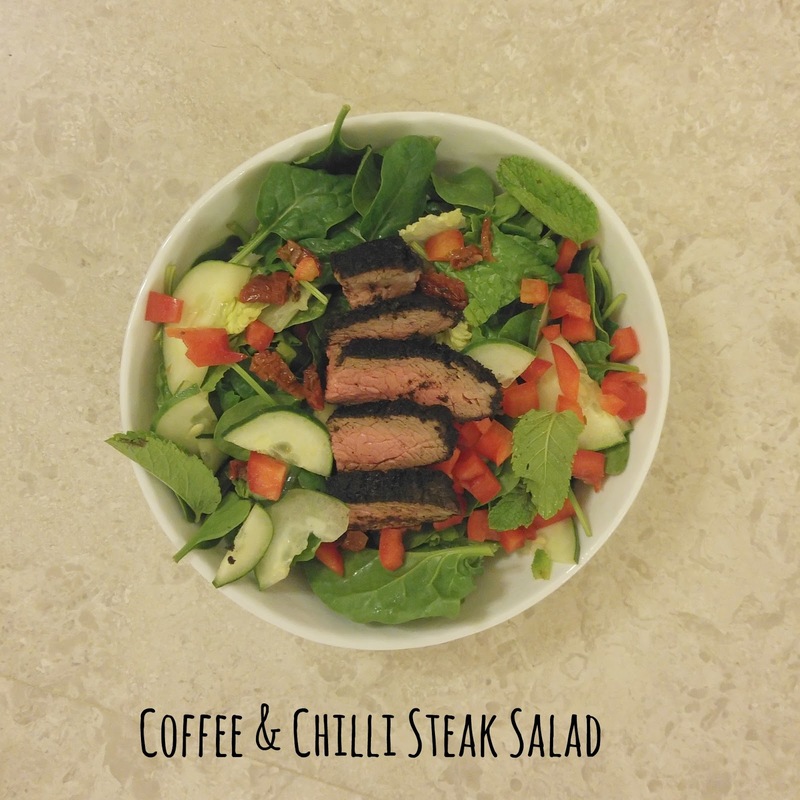 It uses a single steak and made enough for three salads (his, hers, and one lunch). 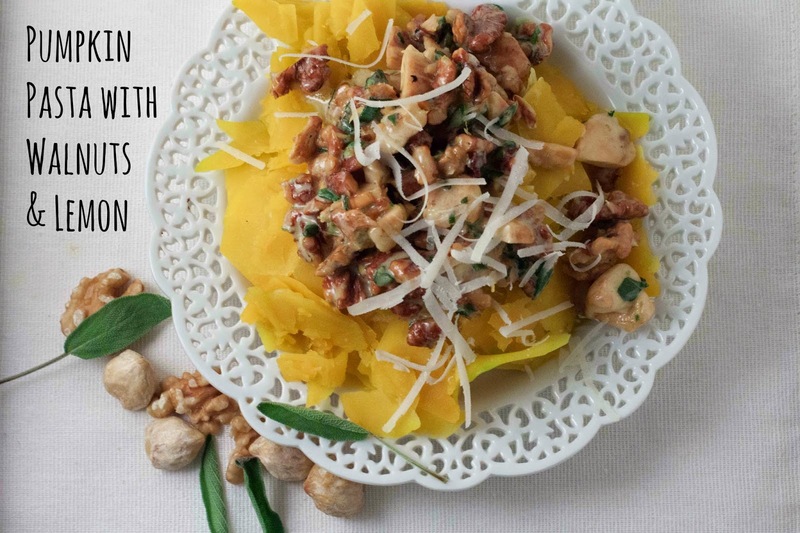 This unusual dish caught my eye because of the combination of ingredients I wouldn't have thought went together: walnuts, pumpkin, cream, sage, and citrus zest. I can perhaps imagine putting three of these things together (pumpkin, cream, and sage, maybe; or walnuts, pumpkin, and sage) but all of them at once sounded delicious. Combinations like this characterise Yottam Ottolenghi's recipes for me. They are unexpected puzzle pieces that you suddenly know will fit together perfectly into an incredible dish. I have a colleague who lived in Moscow for several years. Last spring when Anthony and I decided we wanted to visit Russia in July, I started having long talks with my colleague to hear about all the things he loved (and also those he hated) about Moscow. He said authoritatively that Georgian food was the best Russian cuisine - and I have decided he was right. When we had a free day in St Petersburg, we used our handy Lonely Planet to go to a recommended Georgian restaurant. The photo below is of an appetiser called baklazhan we had there. 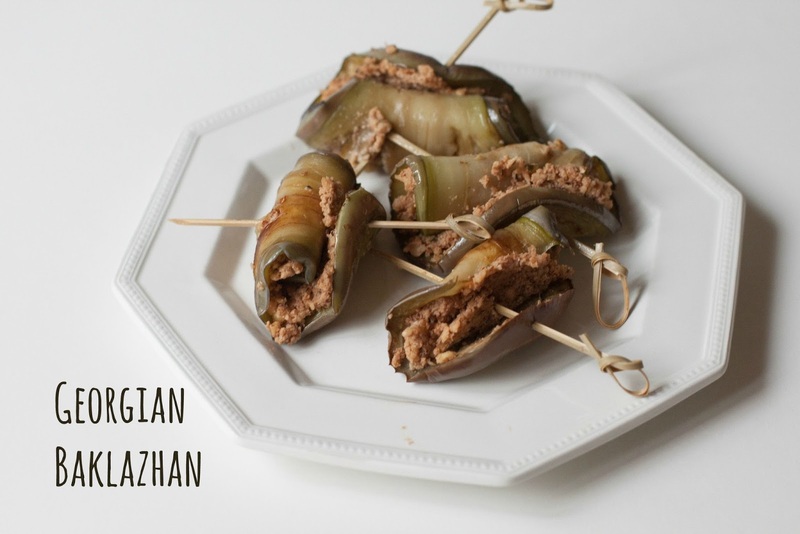 Baklazhan is made with slices of fried eggplant wrapped around a walnut and garlic paste. My rendition is pictured above - and it was delicious both times! Broccoli is my husband's favourite vegetable and we eat it incessantly. But I can't stand the little dark, curly leaves. And I think the stems taste like ick. Thankfully a recipe from Ellie Krieger's cookbook Weeknight Wonders has come to my rescue. I have learned how to cook broccoli stems so that they are delicious. Yippee! 2. make sure the stems get the most heat while cooking. 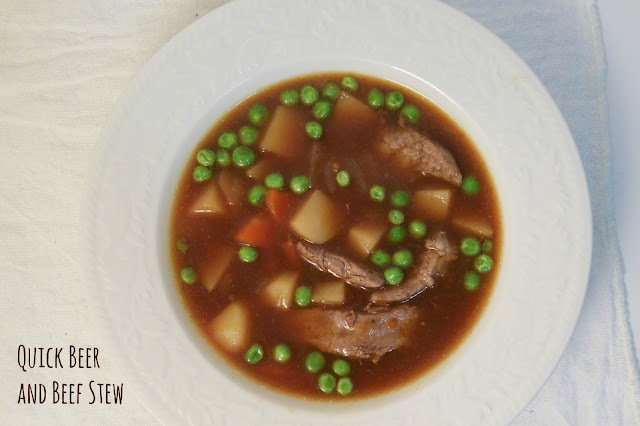 Thanks to Ellie Krieger, I have discovered how to make a quick dinner that resembles stew. Real stew, like the kind my Grammie makes, takes hours. I do not have that time on weeknights.... Let's be honest, I don't often have that time on weekends, either. To make a quick version, here are four easy steps.